I really think that the things we loved when we were kids – be they books, movies, television shows – remain the most precious to us when we are adults. Of course, every once in awhile, I come across something I LOVE, but it really is never quite the same as that which I grew up with. Singin’ in the Rain and Back to the Future will probably always be my favorite movies, regardless of what other movies I see and adore throughout the rest of my life because they so enchanted me at age 8. Anyway, Sweet Valley Confidential was kind of bad and kind of awesome, which is exactly how it should be. It won me over with the nostalgia factor, and it made me sad when some characters didn’t turn out as they should have … which I guess is a part of adulthood in general. You look back and reflect on your image of who you would become and who your friends would become and it never is as you imagined it would be, but always both better and worse. I am digressing and I know I am making it seem like reading a Sweet Valley book was a profound experience, which it was not, but it did make me think about how all of the characters in the young adult novels we read growing up become a part of us, a part of our growth. They impact our impressions of the world, our fantasies, and shape who we become. As you may have seen from my excited Tweets, I finally hired a maid to clean my apartment. Coming home to a spotless apartment today – that I didn’t clean myself! – was absolutely wonderful. I have no idea why I didn’t do this sooner. I hate cleaning. I really only ever gave my apartment thorough cleanings if I knew I was having company; otherwise, I wandered around, listlessly wiping counters until I was all-too-easily distracted by someone IMing me on G-chat or commercials for hair color (which would obviously make me need to go out and buy hair coloring IMMEDIATELY) or the need to catch up on my Thursday night sitcoms or walking to the coffee or homework or anything. I just really am bored by cleaning. I think I always felt that hiring a cleaning person was too extravagant, when it was something that I am capable of and really should have enough discipline to do myself, and also, I kind of figured that the cleaning people would make fun of all of my stuff, which made me paranoid. But, you know, now my apartment is clean, and maybe they made fun of my stuff, but I think I’m okay with that. Does anyone else find himself or herself really, really fascinated by something random in the middle of the day and then really obsessed with researching it? Like, I was reading on Wikipedia about different presidential assassins today and what became of them for no particular reason. Often my random topics of research are kind of dark. Is that weird? I went to the gym tonight to take one of those Body Cardio Pump Works Whatever classes and realized that I had only brought one sneaker. I was very upset because I actually had the motivation to take the class, so I decided to run across the street to buy some new sneakers since my current ones were kind of falling apart anyway. (I was constantly in danger of almost falling down cliffs whilst hiking.) I bought a new pair and now feel like I am walking on air! When paying, I had one of those moments I have every so often where I think strangers find me really charming and interesting so I started telling the salesgirl about how I was at the gym and only had one sneaker so that’s why I am buying a new pair. She just blinked and said, “Um. Okay,” and then laughed awkwardly in that way you laugh when you are trying to appease crazy people. 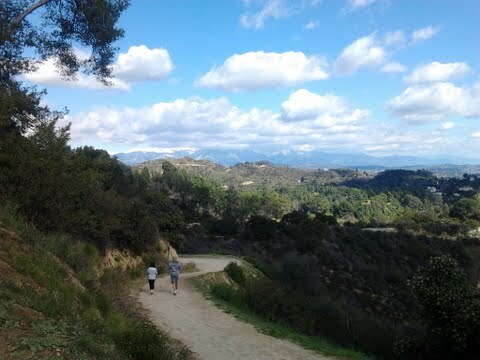 I have never been a religious person at all, but there is something about being able to hike Griffith Park on a clear Sunday with a blue sky and snow-capped mountains in the background that makes me feel really grateful for the world we have and humbled that it all came together to be this awesome. Thanks, nature, you rock. Do we really need Facebook in the car? Anyway, here is the ad. It made me think that I really want to see more of the saga of Jennifer French and her suitor with the Chevy Cruze. What becomes of them? Do they go out again? Is it true love? Or should she read The Rules? I picture an entire series of ads where Jennifer French and the (currently nameless) young man (let’s call him Ted Donnelly, I don’t know why) drive around overanalyzing one another’s Facebook updates that they hear in their cars. Episode 2: Jennifer is driving, listening to her Facebook feed. “Ted Donnelly is at Starbuck’s with Karen McGravy.” She grows agitated. Who is this Karen? Episode 3: Ted leaves another lovely date with Jennifer. He listens to his Facebook feed. “Jennifer French is now listed as in a relationship with Ted Donnelly.” His eyes widen in shock. They only went out twice! Sure, they slept together that last time, but still! Episode 4: Jennifer is driving. “Ted Donnelly is attending Ryan’s Engagement Party on March 13.” What the hell, she thinks. That is this weekend. He didn’t invite her! Doesn’t he like her anymore? Is he taking KAREN?! Doesn’t the fact that she slept with him mean that he should take her to engagement parties? She is confused. What kind of girl does he think she is? I could go on, but I probably should finish my homework and go to bed rather than imagining the relationship progression of people from a commercial. Restaurant week is awesome. This is the week where all of the restaurants offer special prix-fixe menus for a less expensive price. I always use this week to eat at restaurants I won’t get the chance to patronize otherwise (until I achieve immense weath which will obviously happen in just a couple of years). This weekend, some friends and I noshed on some delicious French food at Bouchon Beverly Hills which had the atmosphere of being in a Manet painting and was altogether lovely (*at least my mussels were really delicious). I really love eating out and sometimes I think that if I had one wish for my life, it would be to have endless funds to eat out whenever I wanted and to never gain any weight from eating rich, restaurant food all the time. Eating out is one of my favorite parts about travelling. Dining out in foreign cities is always fun and exciting, and for me, having a nice, leisurely dinner at a nice restaurant in the city I live in makes a typical Friday night seem a bit like a vacation. 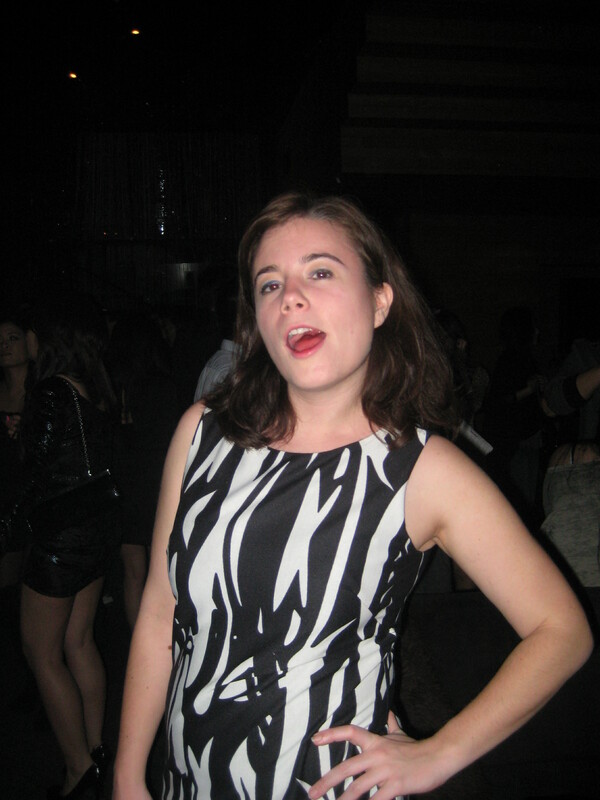 Yeah, I don’t think I’ll be making that one my new Linked In or Facebook profile photo. Why am I a mess at life?